I have finished the sports needle. It took a little longer than expected because we had to wait for a certain dye to come in the mail. Also, we had some troubles with variations on the lathe. The threads screw into the pipe and it works well. I would have liked to use a stronger material like steel because it would have maybe held the threads better. I have started to work on making sports needle of the aerodynamics lab. They will use this in their lab. So far I have learned how to turn down stock, boar a hole, and cut threads using a dye. This will come in handy when I have to do other projects for other groups. I plan on trying to cut other materials on the lathe. 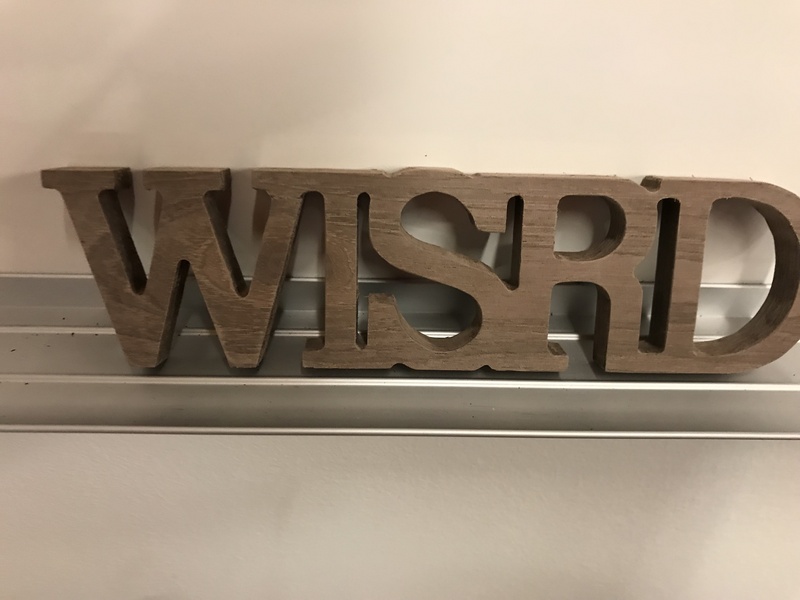 I just finished making the WISRD logo out of a piece of walnut. The model came from Aiden Stern. 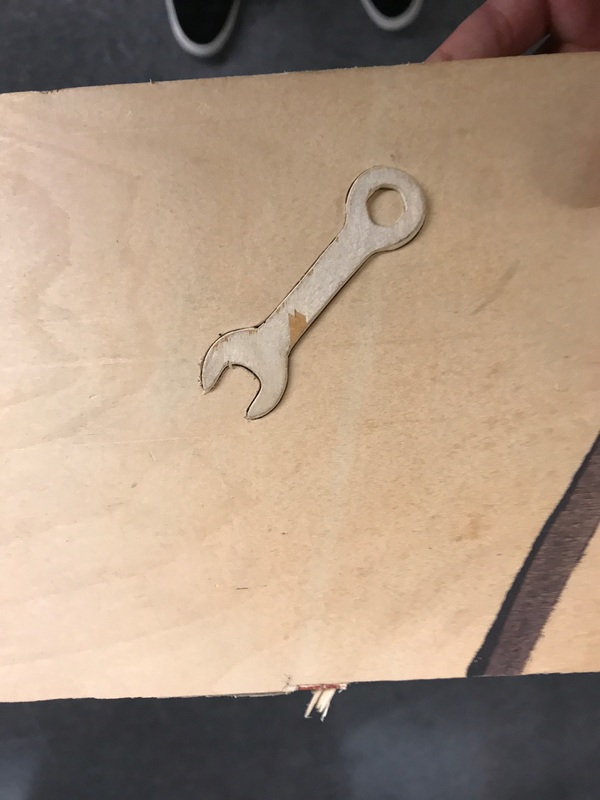 I sanded it down to a 400 grit finish. you can see pictures down below. I am writing my article on the history of Duct Tape. You can read my article in the WISRD magazine The Inquirer. You can read it after winter break. The history of Duct Tape is very interesting an I hope that you check out my article and all of the other ones. 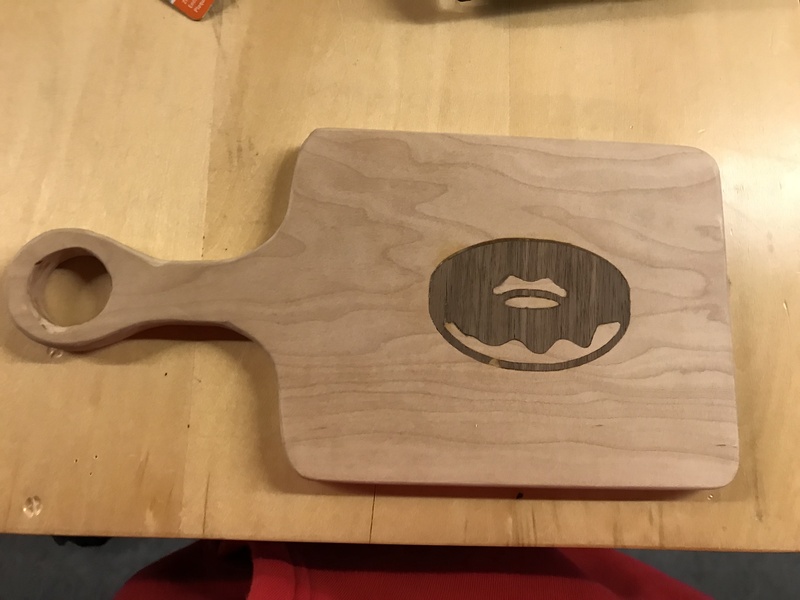 I just finished making my inlay cutting board. Used what I learned from the first inlay and applied it to my cutting board. The light color wood is maple and the dark color wood is walnut. The inlay is a donut because it was a simple but challenging image. Here is a picture of the final project. 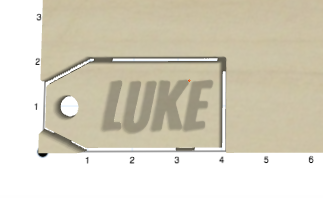 I tried to test my skills and try to cut out and inlay piece on the X-Carve. An inlay is where you cut the positive of an image out then you cut the negative out so the two pieces fit together. 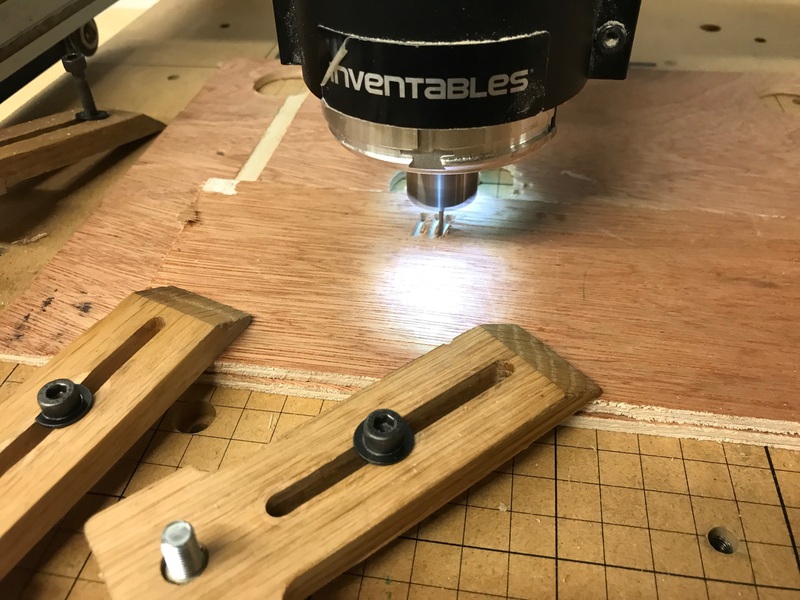 learned that to get a perfect fit you need to make the inner piece a little bit small so it is a perfect fit and to measure how deep you need to cut the piece to fit. Here are some pictures of the process and the final result. 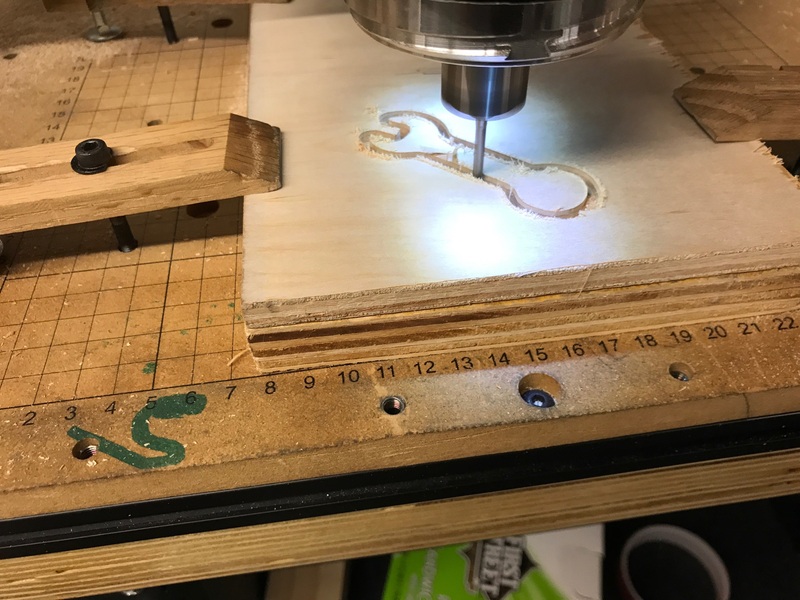 I cut out my first model on the X-Carve today! I noticed that the CNC is very fast and cuts through the material briskly. Also, I was very surprised that the 1/16 bit did not snap when it cut through the wood. 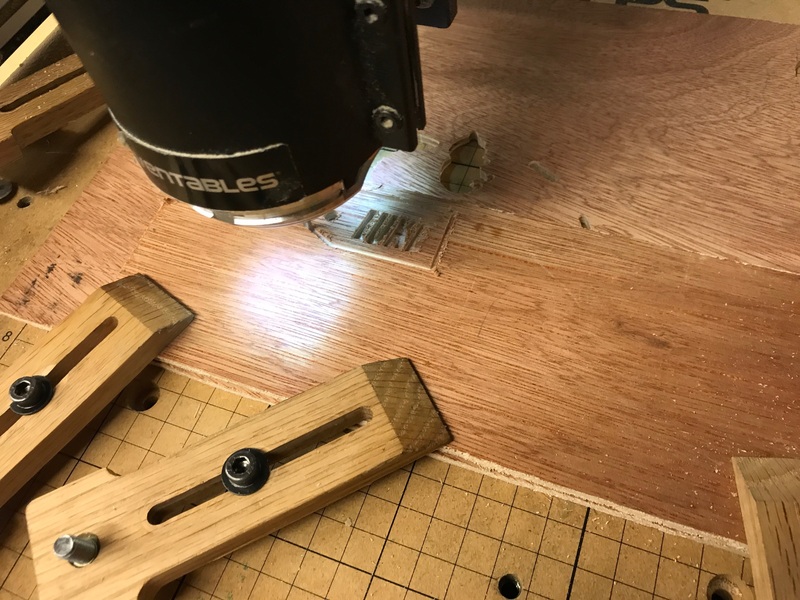 Remy Wood helped me a lot through the process of teaching me how to use the machine. I’ve included some pictures from the cutting process. 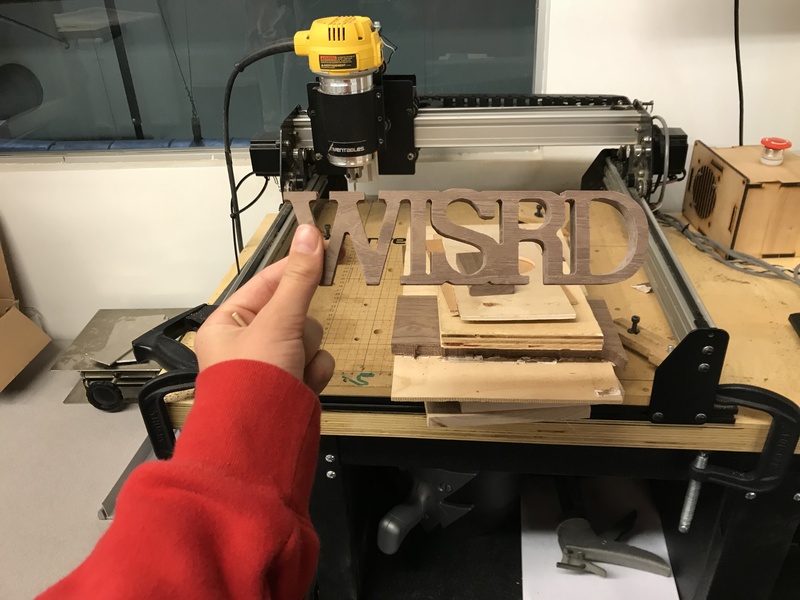 I can’t wait for my first year of WISRD and learn how to use the CNC Mill. 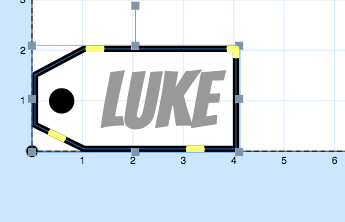 My goal is to become an expert with the CNC Mill. I’m interested in fixing the lathe and building a 3d printer.